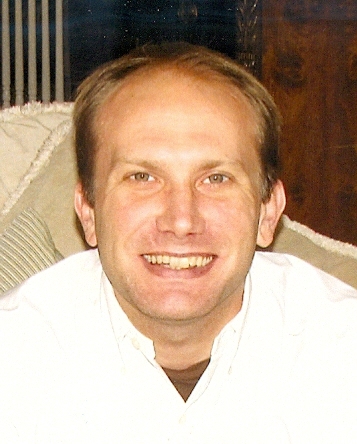 Jon Michael Robinson, 43, died August 27, 2018 in Kansas City, MO. Jon was a graduate of Oak Park High School and attended MU. Survivors include his mother, Wanda White Robinson; brother, Tait Robinson (Polly); a niece and nephew; seven aunts and uncles, seven cousins and two special God-parents. He was preceded in death by his father, Charles Michael "Mickey" Robinson. We remember that wonderful smile, however he described that some days it was a "painted on smile". Jon's mental illness was not a character flaw but a disease. We admire his strength and resilience. He was creative and had a wonderful eye for photography. A casual gathering of family and friends to honor cherished memories of Jon's life will be held on Saturday, October 6, 2018, from 2:30-4:30 pm at Norterre (Aurora building), 2609 Glenn Hendren Drive, Liberty, MO 64068. In lieu of flowers, memorials may be given to the National Alliance on Mental Illness (NAMI), P.O. Box 49104, Baltimore, MD 21297 in Jon's name for early intervention, treatment, research and advocacy (online at www.nami.org/donate), or to the charity of your choice. A casual gathering of family and friends to honor cherished memories of Jon’s life will be held on Saturday, October 6, 2018, from 2:30-4:30 pm at Norterre (Aurora building), 2609 Glenn Hendren Drive, Liberty, MO 64068.